Your body is an antenna, do you know how to use it? Recent discoveries in quantum physics are challenging the way how we see ourselves and the world. Although these discoveries have been claimed by ancient cultures thousands of years ago, now they are becoming broad knowledge for the majority of people. The main discovery is that everything consists of energy and the further you go researching atoms, neutrons… the more open space and vast energy fields we find. We are all practically just an energy field and the only reason everything looks so physical is because of a combination of light, reflection and energy charges bouncing against each other, giving us the sensation that we are touching something. At any give point our body is interacting with the surroundings on an energy level, exchanging frequencies, information and receiving updates. We are like walking softwares constantly connected with the cloud. Sounds familiar? That’s because the internet is built on the same principles as the universe. If our body is weak our energy transmission will be weak as well. 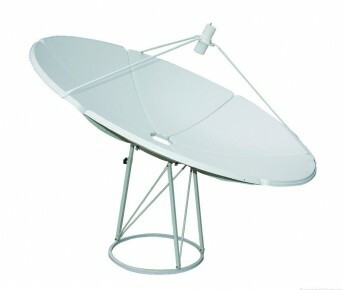 Imagine a TV antenna which is half-broken, the top part facing towards the floor and parts missing, obviously this antenna will not receive any TV program or the signal would be very unstable. Health is the basic condition for us to receive updates. Our body is a cup containing the energy. If the cup is broken, the energy will leak, as simple as that. The way we sit, walk and sleep significantly influences the quality of our connection. When we walk we have to be straight, with our head up, as if we were looking at the 2nd or 3rd floor of the buildings around us. This is a simple but powerful technique and you should test it out. Go for a 10 minute walk with your head facing down and then 10 minutes with your head facing up. You can also look at the top of the buildings or top of the trees, the higher you look that better, but I have to warn you, you might look a bit silly walking like that in the middle of town. During this practice you will notice that when looking down your spirit is lower, you might think or worry more, you are not bright and not open. When you are looking up you will notice that your spirit is higher, you are more open and happy, feeling more free. This is simply because when looking down we cut our signal off, decreasing our energy circulation and causing the chain reaction of negative feelings. You can also observe other people and see how they walk. You will notice immediately the difference in spirit, very much connected to their head position and body posture. Our chest should be open, shoulders slightly pulled back, opening our solar plexus. Solar plexus didn’t get this name accidentally, it’s the main panel through which we receive the sun’s energy. If our solar plexus is not properly exposed we don’t get quality energy. This works even if there is no sun, in the evening or indoors. Our stomach has to be relaxed, mouth open so that energy can flush through us from top to bottom. Most of people have the habit of keeping their mouths shut tight, pulling the tong up and closing off the throat. This position is an early state of stress, from that point everything else piles up. Try opening these areas and you will feel better right away. You should practice this in heavy, stressful situations, it would make every situation much easier. When we sit we should have a similar position as when walking; open, straight, shoulders relaxed and with a relaxed and open stomach and throat. We should not sleep on our sides or chest, the best position for good sleep and to receive fresh energy during the night is to lie on our back and have the entire body relaxed and exposed, stomach relaxed and throat open. If we sleep in wrong position we block energy access and we squeeze our organs, heart and lungs mainly. A bad sleeping position is one of the main reasons why we might feel tired in the morning, instead of getting energy we were losing it while our body was struggling to relax and connect. Now, practicing being happy is in general one of the most beneficial techniques for our health. 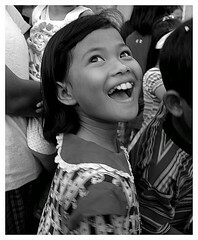 When we smile our stomach gets automatically relaxed, opening up the chest area and all related meridian paths. If you don’t feel like smiling I suggest to fake it until you make it. Even a fake smile will still be very beneficiary for your body and will do the trick. After some time smiling will become part of your nature. I know that the majority of people are not familiar with relaxation and meditation methods and find them very difficult to do, especially when having a stressful, focused job such as working on the computer, writing, reading etc. In that case I would suggest to begin by practicing a special mini relaxation which I call ‘Doing Nothing’, just 15-20 minutes, 2-3 times a day. It’s very simple. You should turn off or put away any computer, mobile, magazine or newspaper around you, sit in comfortable sofa, chair or bed and simply do nothing. You can observe your breathing. In the beginning you will have lots of thoughts about projects, emails which you have to answer, problems you have to solve… you just have to slowly let those thoughts go, allowing yourself to smile gently and simply BE. Anybody can do this, you don’t need a teacher or a manual, just simply sit down and do exact the opposite of being busy. This will unlock the energy flow and your body will naturally start to relax. After a couple of times you will notice that you are drifting into real state of relaxation, without much trying. And that’s exactly the key for a relaxed mind. You don’t have to do a thing to make it work. I know that many would say they could simply take a nap to get more energy but I have to tell you, this is something completely different. When we go to sleep we practically shut down our consciousness and the amount of energy we receive is much smaller than if we relax our mind while our consciousness is fully awake. This is why many great spiritual masters don’t sleep much, only maybe 3-4 hours a day. They receive much more energy while they are in an alert state of mind, than if they were asleep. These are simple yet powerful techniques to build the reception capacity of our antenna and receive a larger amount of energy day and night. We are happy to answer any questions, just drop them in comments below.